Learn the Calcaneal Fracture Fixation surgical technique with step by step instructions on OrthOracle. Our e-learning platform contains high resolution images and a certified CME of the Calcaneal Fracture Fixation surgical procedure. The principles of managing Calcaneal fractures are as with any other intra-articular fracture. Those fractures which are likely to benefit most from appropriate operative treatment are the ones with large , well defined displaced fracture fragments in good bone and with healthy soft tissues. 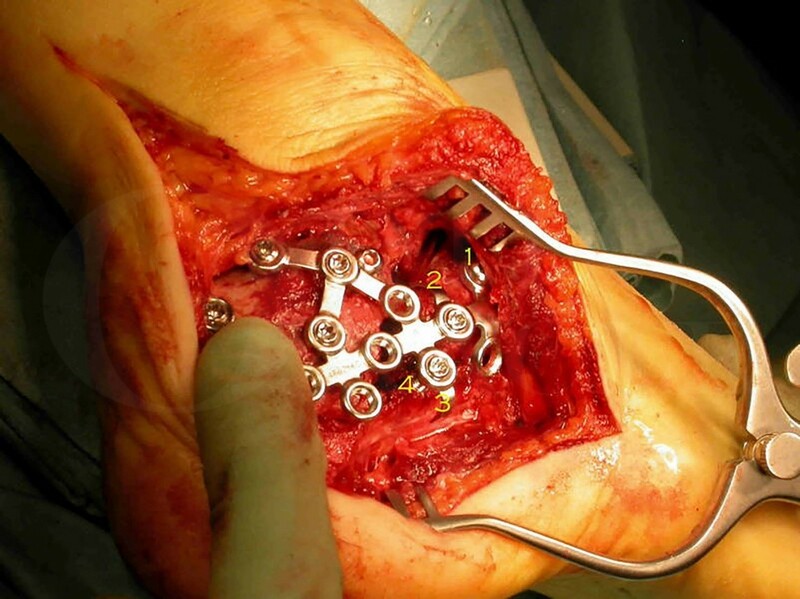 There can also be legitimate argument made for those with more comminuted articular surfaces but also significant loss of Calcaneal height and increased width being reconstructed acutely to allow more straightforward subsequent fusion surgery if required. Complications can be significant but should be regarded (and counselled about ) proportionately.